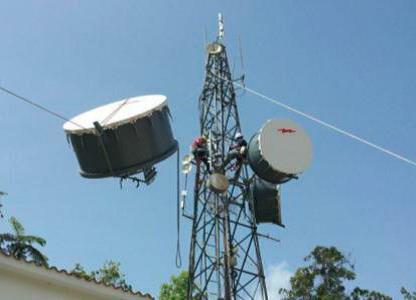 The Puerto Rico Bridge Initiative plans to provide fast, affordable broadband connectivity for last-mile Internet service providers and underserved areas of Puerto Rico, including the islands of Culebra and Vieques, by establishing a broadband “bridge” to the United States mainland and deploying a high-capacity middle-mile network on the islands. The project plans to purchase a 10 Gbps undersea fiber-optic cable directly connecting to Miami and deploy more than 180 miles of terrestrial middle-mile microwave network using 11 towers. The network will offer speeds from 100 Mbps to 1 Gbps to anchor institutions and last-mile providers. More than 1,700 community anchor institutions are expected to be directly connected, including more than 1,500 K-12 schools. Puerto Rico’s broadband Internet service was ranked the slowest after all states and the District of Columbia in a 2008 Communications Workers of America study. Critical Hub Networks’ Puerto Rico Bridge Initiative (PRBI) will reduce this digital divide by connecting the territory to faster and more affordable service. Prior to this initiative, Internet communication had to go through one Internet backbone to the Network Access Point of the Americas (NAP) in Miami, and then go back through the NAP to return information to an Internet user in Puerto Rico. With BTOP funds, Critical Hub purchased two 10 Gbps undersea fiber-optic cable lines, significantly increasing Internet capacity for Puerto Rico and lowering the costs of broadband service across the island. As of June 2013, Critical Hub Networks, Inc. had deployed more than 4,100 miles of network infrastructure. Supporting the goal of using broadband to enhance the life of Puerto Ricans, Critical Hub established interconnection with the Puerto Rico Health Information Network (PRHIN). PRHIN is improving healthcare delivery on the island, serving as an electronic data exchange which will, among other things, allow Puerto Rico to establish, store, and transmit electronic health records. The infrastructure deployed by Critical Hub allows PRHIN to exchange data between doctors, laboratories, pharmacies, and other healthcare entities. Health Information Technology (HIT), which facilitates more affordable and higher quality healthcare services, is a key driving factor in the increase in broadband demand in Puerto Rico’s medical community.